After an unfortunate drop out by Square Tony and the Arps due to an unfortunate nautical incident, we've had half of the band team up for some special sea shanty goodness. All these puns and more could be yours, at a very special SoundBytes16:Shiptunes event for "International Talk Like a Pirate Day". 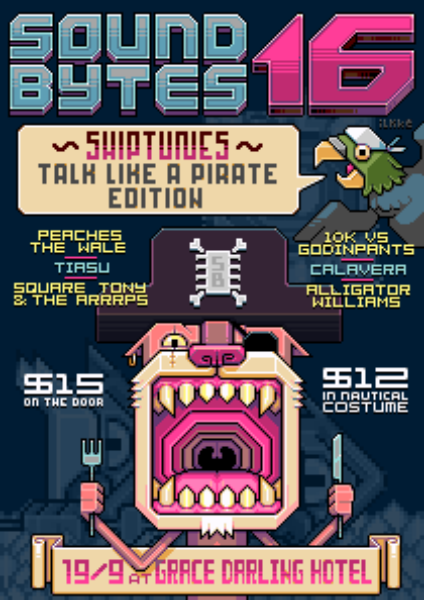 The team behind Australia's longest running chipmusic event, SoundBytes like any excuse for an off-beat kind of party, and the fact that International Talk Like a Pirate day is falling on a Friday, is an awesome excuse in our book. 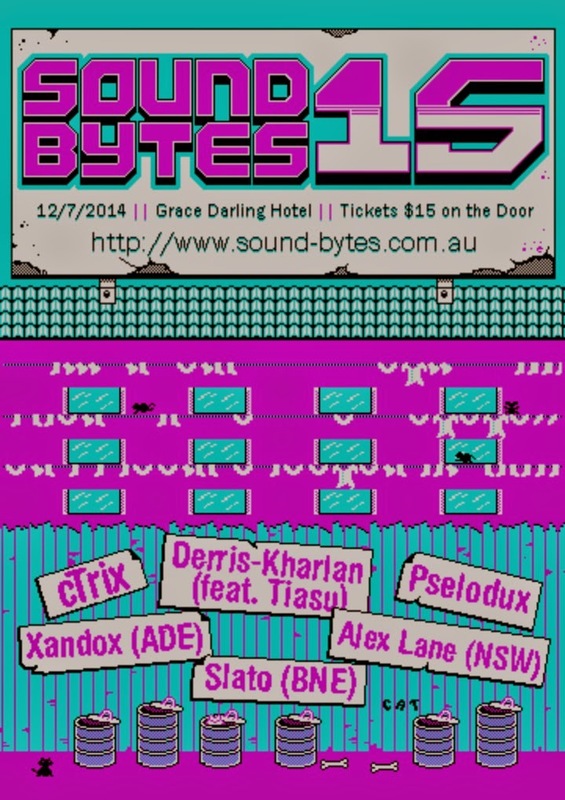 Add to the fact that a bunch of our favourite chip tune artists have 'chipped' in to create pirate themed songs and visuals specially for the event and we'll be announcing the first half of the line up for Square Sounds Melbourne 2015 (with some of them making special long distance appearances at the show! ), and you've got an extra fun "booty"- shaking good time. Combining the bleeps, bloops and bass and 8-bit audio visual awesomeness that SoundBytes is famous for with some seafaring fun, this will be a night that you won't want to miss. The show will take place upstairs at the Grace Darling, $15 on the door - or $12 in nautical attire, so get your costume ready! Back for our first non-Square Sounds related show in 2014, with a new day (Saturday!) and a new venue, Soundbytes is taking over the Grace Darling Hotel bandroom with some familiar faces, and some that we know will become new favourites. For the first of a planned three shows before the end of the year, we are excited to be introducing some new, amazing artists who have popped up online, at Square Sounds related events like the open mics and through word of mouth, while still ensuring you get to see your favourite artists from our past events. The complete line up for Square Sounds has now been announced!